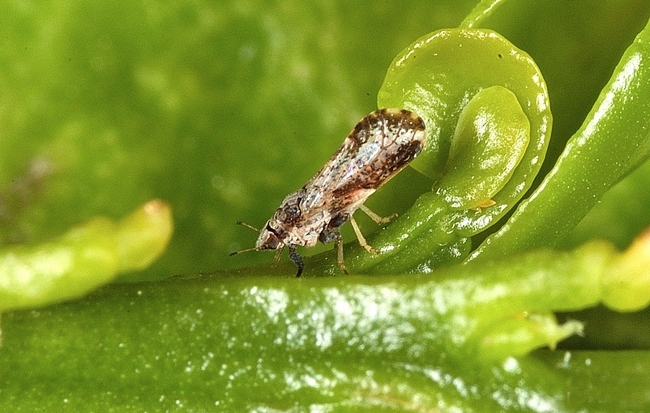 California citrus farmers have their ears perked for all news related to Asian citrus psyllid (ACP) and huanglongbing (HLB) disease, but the very latest advances have been available only in highly technical research journals, often by subscription only. UC Cooperative Extension scientists are now translating the high science into readable summaries and posting them on a new website called Science for Citrus Health to inform farmers, the media and interested members of the public. Grafton-Cardwell and UC Cooperative Extension biotechnology specialist Peggy Lemaux are the two scientists behind the new website. When scientists make progress toward their goals, Grafton-Cardwell and Lemaux craft one-page summaries with graphics and pictures to provide readers with the basics. For example, the website outlines scientific endeavors aimed at stopping the spread of huanglongbing disease by eliminating the psyllid's ability to transfer the bacterial infection. 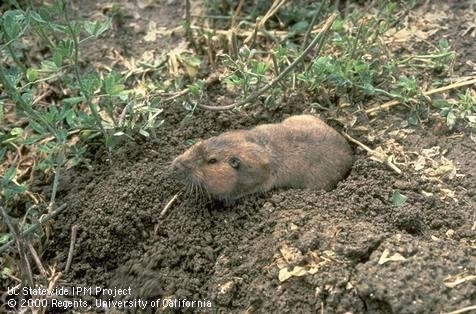 This section is titled NuPsyllid, and contains summaries of three research papers including one by UC Davis plant pathologist Bryce Falk. Falk is collecting viruses found in Asian citrus psyllid; so far he has identified five. He is looking into the potential to utilize one of the viruses as is or modify one of the viruses to block the psyllid's ability to transmit the bacterium. For example, the virus might out compete the bacterium in the psyllid's body. Another focus of the website is HLB early detection techniques (EDTs). 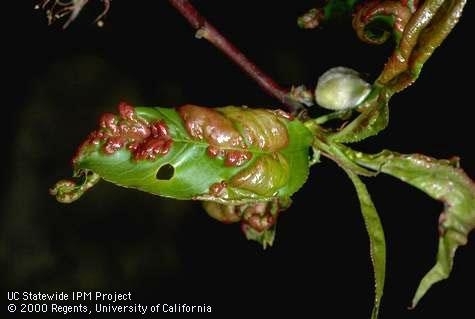 If HLB-infected trees are found and destroyed before they show symptoms, ACP is less likely to spread the disease to other trees. EDT research described on the website includes efforts to detect subtle changes in the tree that take place soon after infection, such as alterations in the scents that waft from the tree (studied by UC Davis engineer Cristina Davis), changes in the proteins in the tree (studied by UC Davis food scientist Carolyn Slupsky) and starch accumulation in the leaves (studied by UC farm advisor Ali Pourreza). 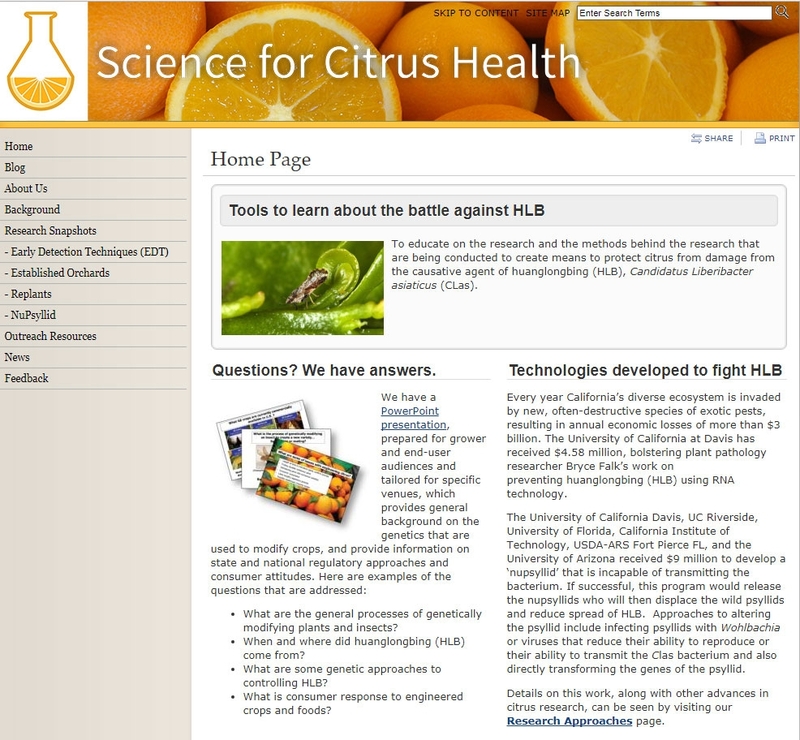 Other research areas on the Science for Citrus Health website are solutions for established orchards and replants. As more research is published, more one-page descriptions will be added to the website. The website contains a feedback form to comment on the science and the summaries. 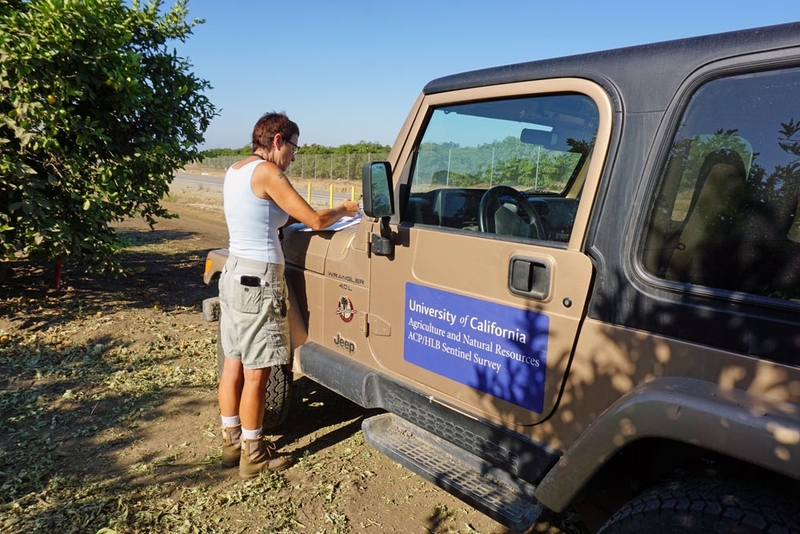 UC Cooperative Extension specialist Beth Grafton-Cardwell is one of two UC ANR scientists who have developed the Science for Citrus Health website. 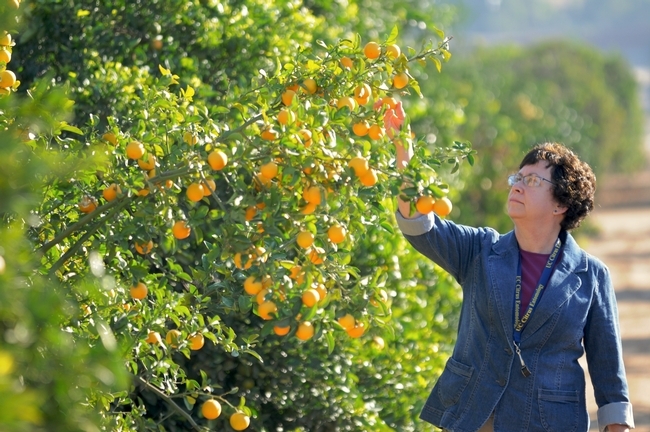 The battle against Asian citrus psyllid (ACP) is continuing in California on many fronts, motivated by the insect's ability to spread huanglongbing (HLB), the worst citrus disease in the world. HLB has been found in only one isolated tree in California, and everybody who enjoys California citrus wants it to stay that way. 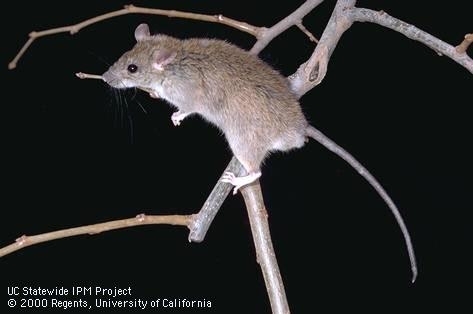 Farmers are diligently treating orchards where the pest has been found, county ag commissioners are monitoring traps to keep tabs on ACP movement, and UC researchers are looking into a wide variety of novel techniques to disarm ACP and the disease. 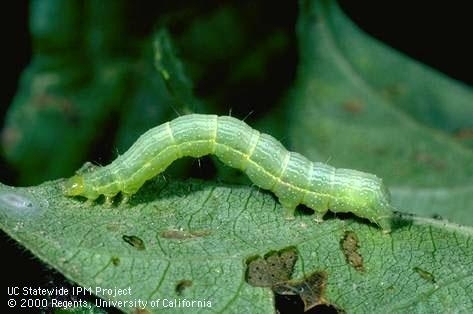 In December, UC Cooperative Extension biological control specialist Mark Hoddle began releasing a newly imported natural enemy of ACP, Diaphorencyrtus aligarhensis (DA). Hoddle said it isn't the ideal time for DA to become established in California citrus. Cool weather and short days have hindered ACP population growth, so DA likely are struggling to find enough ACP to attack. 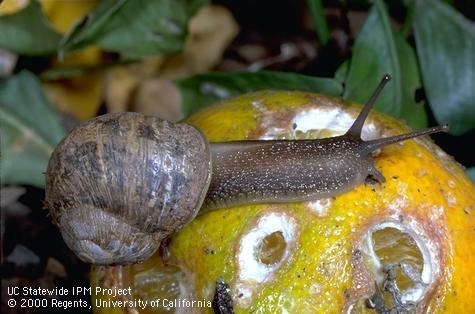 Hoddle has searched the world for natural enemies of exotic pests since he joined the UC Division of Agriculture and Natural Resources in 1997. He collected DA in Pakistan three years ago, then raised and studied colonies of the sesame-seed-sized insect in quarantine at UC Riverside. 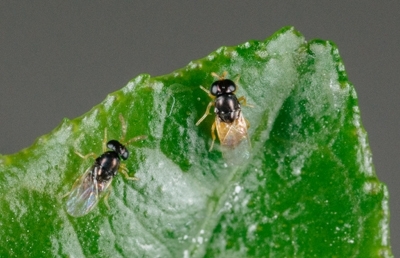 The wasp joins a cousin, Tamarixia radiata, also imported from Pakistan by Hoddle, to search out and destroy Asian citrus psyllid. He began releasing Tamarixia in 2011. Since then, CDFA has raised a million Tamarixia and released them in Southern California for ACP management. 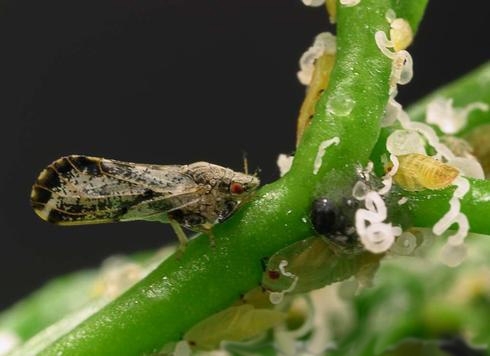 It appears Tamarixia has become established, is moving around on its own and killing Asian citrus psyllids. State and federal agencies are now beginning to work with DA as well. “We've given starter colonies of the new insect to CDFA. They have a mass rearing facility at Mt. Rubidoux in Riverside, where they currently mass produce Tamarixia,” Hoddle said. USDA plans to set up field cages around citrus trees in late spring or early summer and prune them severely to encourage new growth. ACP will be placed in the cages to enjoy the fresh, aromatic stems and leaves on the trees, and DA will be released in large numbers to attack the ACP. 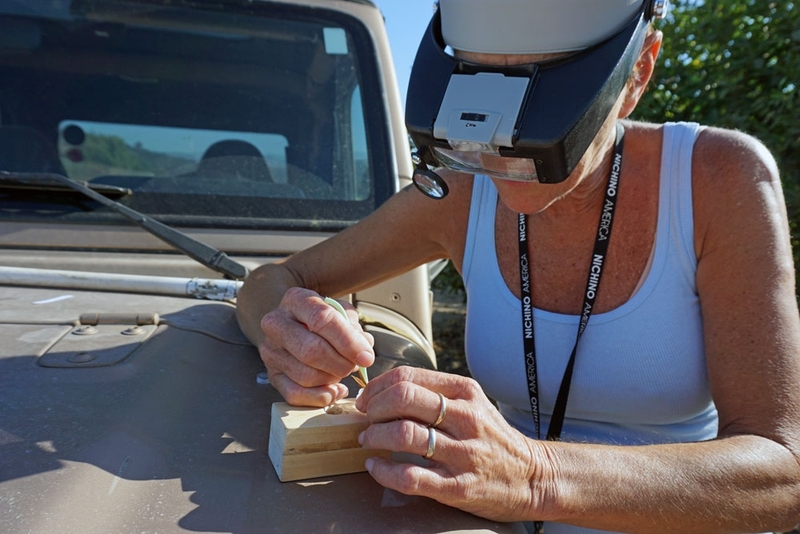 For more details, photos and a video about the new enemy of Asian citrus psyllid, see the Center for Invasive Species Research website. 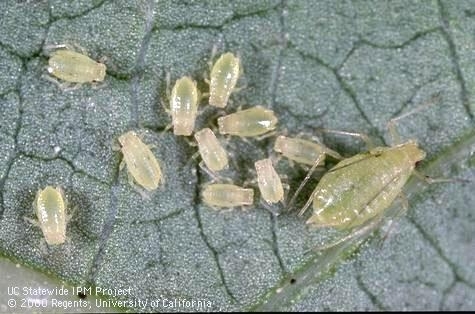 Asian citrus psyllid is established in some urban Tulare County communities. Two Asian citrus pysllids (ACP) were found in a trap near Exeter in November, just 10 miles away from the UC Lindcove Research and Extension Center. That brings to 29 the number of locations in the central San Joaquin Valley, from Bakersfield to Dinuba, where Asian citrus psyllids have been trapped. Perhaps still more unsettling is the fact that reproducing populations of ACP have been found in urban areas in Tulare County, confirming that the pest is established in a county where farmers produce citrus valued at more than $1 billion annually. Asian citrus psyllids are a serious concern for California citrus producers because they spread Huanglongbing (HLB) disease. The disease causes tree decline, production of small, bitter fruit and eventually tree death. There is no cure once a tree is infected. Around the world, once ACP arrives, HLB soon follows. Such was the case in Florida. ACP was first found in 1998, the disease followed in 2005, and by 2008 it had spread throughout the state. “They allowed the psyllid and the disease to spread on nursery plants,” Grafton-Cardwell said. “Here, it's a different situation. We are taking many measures to reduce psyllid populations and limit their spread around the state in order to buy researchers time to find long-term solutions for HLB disease." 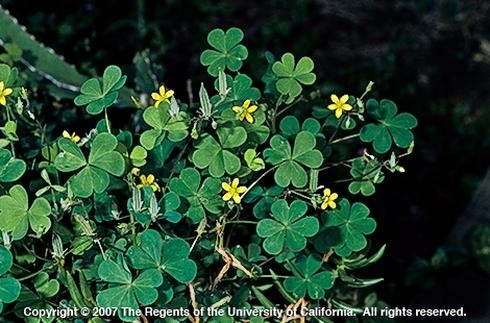 To date, only one HLB-infected tree has been found in California, a multi-grafted backyard tree in Hacienda Heights. It was quickly removed and destroyed. Other trees may be infected, but not yet detected. It will take a tree with HLB about a year to show visual symptoms of the disease. One goal of UC research is to identify a way to detect HLB more rapidly. 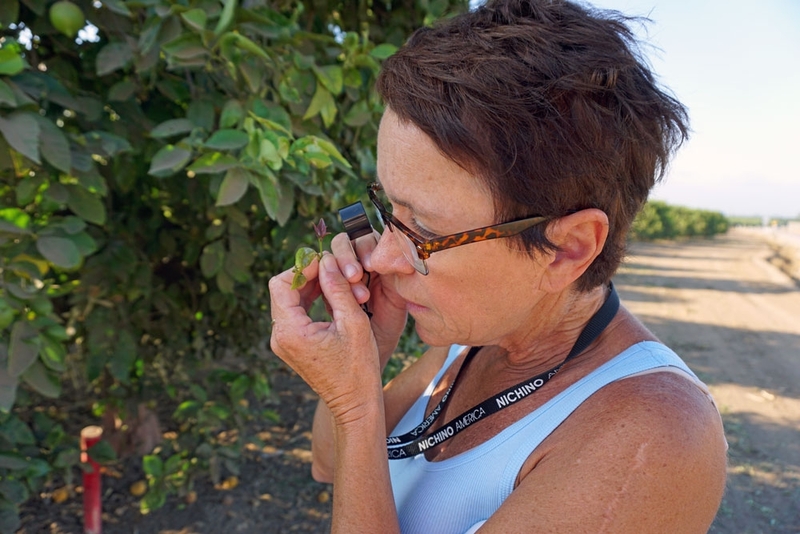 For example, scientists at UC Davis are refining a mobile chemical sensor that can detect diseased citrus trees by sniffing their volatile organic compounds. Another team of scientists is looking for changes in citrus trees' metabolism when infected with HLB. 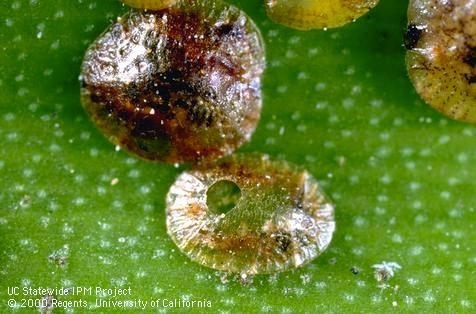 Citrus growers can help by regularly monitoring their trees for signs of ACP and, when treating for other pests, use insecticides that are known to be effective against ACP. A chart of effective pesticides is on the interactive Asian Citrus Psyllid Distribution and Management website. The website also contains information for residents who have citrus trees in their landscapes. 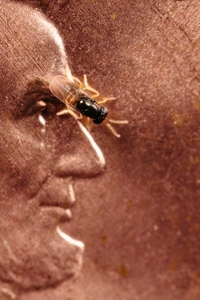 Photos of the adult and juvenile insects, the distinctive waxy tubules left behind when they feed, and citrus leaves from and HLB-infected tree can aid in determining whether home trees are infested. 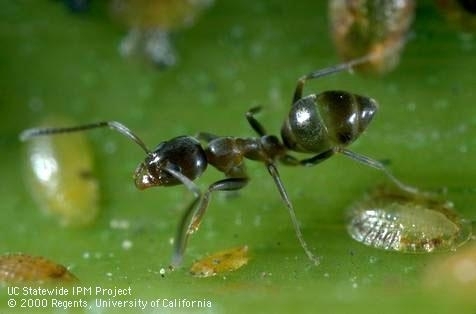 An initiative to manage endemic and invasive pests and diseases is part of the UC Division of Agriculture and Natural Resources Strategic Vision 2025.